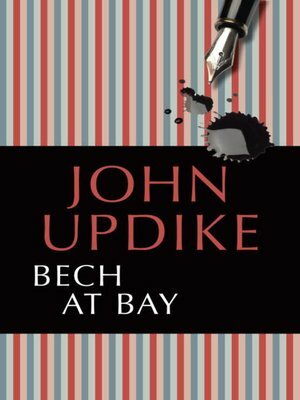 In this, the final volume in John Updike's mock-heroic trilogy about the Jewish American writer Henry Bech, our hero is older but scarcely wiser. Now in his seventies, he remains competitive, lecherous, and self-absorbed, lost in a brave new literary world where his books are hyped by Swiss-owned conglomerates, showcased in chain stores attached to espresso bars, and returned to warehouses just three weeks later. In five chapters more startling and surreal than any that have come before, Bech presides over the American literary scene, enacts bloody revenge on his critics, and wins the world's most coveted writing prize. It's not easy being Henry Bech in the post-Gutenbergian world, but somebody has to do it, and he brings to the task his signature mixture of grit, spit, and ennui.